This storyboard shows a side-on close-up of Red Leader in the cockpit of his X-Wing – explosions pepper the background as he engages in the first Rebel attack on the Death Star. Beneath the image are the words, 'Closeup right side of Red Leader heading left to right, flying through heavy hail of flak. Threshold horizon drop away'. 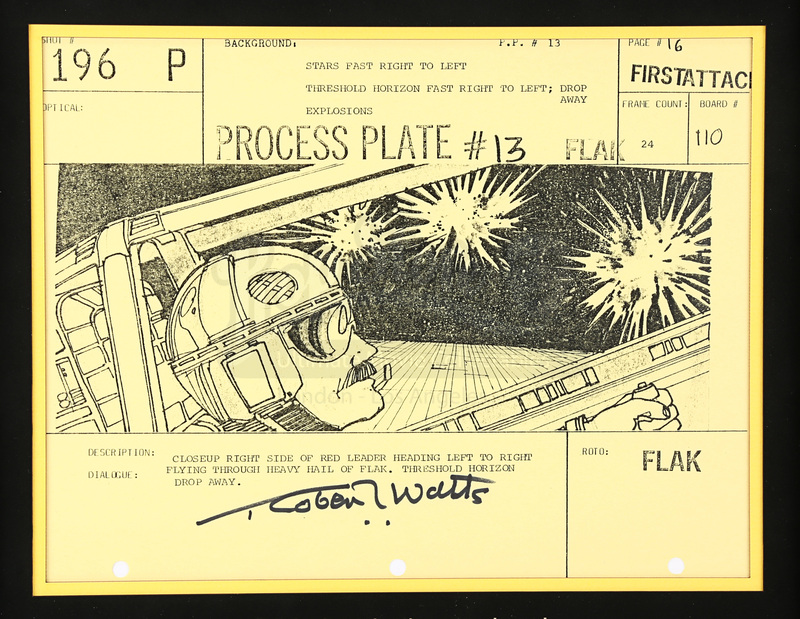 The storyboard is labelled as part of the 'First Attack' sequence and as shot '196 P'. 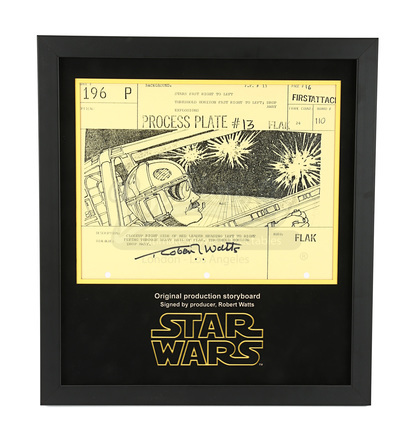 This storyboard is printed on a sheet of yellow-coloured paper and is hole punched at the bottom from where it was grouped in sequence, forming a comprehensive shot by shot miniature version of the movie's spectacular and ground-breaking effects. 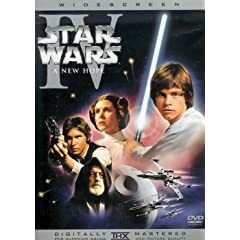 This piece has also been signed by the legendary veteran producer Robert Watts who also produced the Indiana Jones trilogy and Who Framed Roger Rabbit.